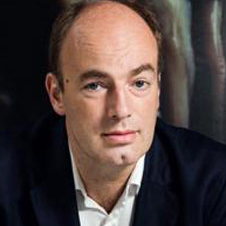 Professor Charles Spence is the head of the Crossmodal Research Laboratory at the Department of Experimental Psychology, Oxford University. He is interested in how people perceive the world around them. In particular, how our brains manage to process the information from each of our different senses (such as smell, taste, sight, hearing, and touch) to form the extraordinarily rich multi-sensory experiences that fill our daily lives. His research focuses on how a better understanding of the human mind will lead to the better design of multisensory foods, products, interfaces, and environments in the future. His research calls for a radical new way of examining and understanding the senses that has major implications for the way in which we design everything from household products to mobile phones, and from the food we eat to the places in which we work and live. Charles has acted as a consultant for a number of multinational companies advising on various aspects of multisensory design, packaging, branding, and atmospherics over the past decade, including Unilever, Procter & Gamble, ICI, McDonalds, Quest, Firmenich, Britvic, Neurosense, Baiersdorf, Starbucks, Mother, JCPR, Thorntons, The Communications Group, and The Fat Duck restaurant. Charles has published more than 500 articles in top-flight scientific journals. Charles has been awarded the 10th Experimental Psychology Society Prize, the British Psychology Society: Cognitive Section Award, the Paul Bertelson Award, recognizing him as the young European Cognitive Psychologist of the Year. In addition he was awarded the prestigious Friedrich Wilhelm Bessel Research Award from the Alexander von Humboldt Foundation in Germany.